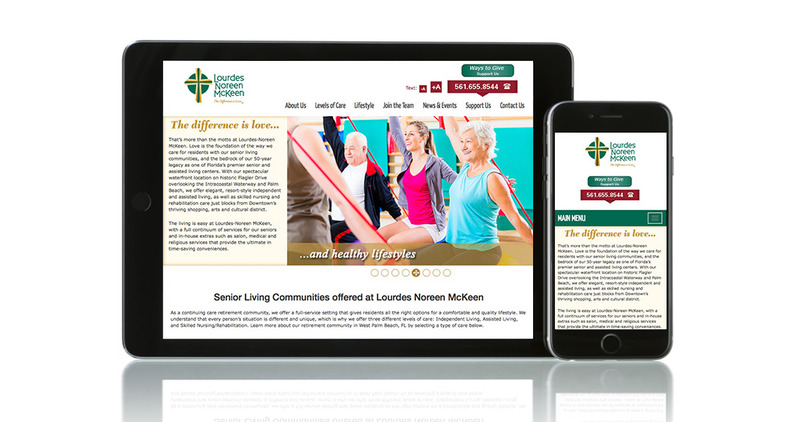 We were assigned to re-brand this high profile, Catholic assisted living and skilled nursing facility. Following the research stage we developed a new logo that freshened its identity while retaining the 50-year heritage of the previous logo’s three crosses. We used a more modern font and styling in order to appeal to the Baby Boomer children who make the decisions where their parents will live. The rings represent the facility’s three levels of senior care and integrated, holistic approach that is centered around strong religious values. The new look became the basis for all new sales and marketing materials, wayfinding signs, advertising campaign and a new website.